THE PLOT: Having successfully brought her husband Rob home safely from Russia, Rosamond is trying to get back to normal life. Rob has returned to studies at Cambridge, and Rosamond has been released from the service of Walsingham. But then she receives an urgent summons from Lady Susanna Appleton and returns home to reconcile with her estranged stepmother. Rosamond learns what the summons was really about: her childhood friend Lina has been accused of murdering her brother-in-law, Hugo. Hugo, a fabric merchant, had been trying to force Lina to marry a wealthy Italian silk merchant, Alessandro Portinari. A neighbor had warned Lina that Portinari had the “French pox,” so she was fighting with Hugo about the marriage the night she later found him stabbed to death. Lina’s sister, Isolde, found Lina standing over Hugo holding the knife, so she’s certain her sister is the murderer. Adding to the drama is Portinari’s handsome nephew, Tomasso, who was also romancing Lina. But was his affection real or feigned? How does Portinari fit into the story? Why was Hugo insisting that the marriage take place? And why is Walsingham’s own henchmen warning Rosamond and Rob to stay away from the investigation? MY TWO CENTS: I enjoyed this second book in the series even more than the first. The various factors in the case come to light slowly, leaving the reader to wonder what twists are coming next. In addition to the mystery is the growing relationship between Rosamond and her young husband. Rosamond married him when they were both 16 so she could take control of her inheritance, which left some bad feelings in the families. While Rob and Rosamond seem to enjoy “married life,” one wonders if eventually the friendship between them will become real love. Rosamond acts for more like a liberated woman of the 21st century than someone living in 1585. She constantly protests Rob’s concern for her as trying to “control” her as any other husband would, or trying to “save” her when she’s perfectly capable of taking care of herself. While I applaud the independence, it’s eventually a bit off-putting and wearying to the reader that Ros SO often mistakes aggression for independence. Hopefully she will eventually learn that she can be independent and still have a real partnership with her husband. As far as the mystery, it definitely kept me guessing. I was focusing on a different suspect entirely until close to the end. BOTTOM LINE: An Elizabethan whodunit with some twists and turns and without an obvious conclusion. I’m very much enjoying these mysteries and plan to check out the “Face Down” mysteries that precede theme when I get the chance. ON SALE DATE: The book is on sale now in hardcover and eformats. THE PLOT: Elizabeth I has been on the throne for 25 years when Rosamond Jaffrey is tapped to become a spy for Walsingham. She’s especially motivated when she finds out that her estranged husband, Rob, is in trouble in Russia, where he went as part of the Muscovy Company. As her cover, Rosamond is accepted as a waiting woman into the household of Lady Mary Hastings, who expects to become the bride of Ivan the Terrible. The household is invited to the Queen’s Wardrobe of Robes in Whitehall so Lady Mary can have one of the Queen’s castoff gowns. Rosamond is planning to meet the contact assigned to her, but finds that the man has been poisoned. No one seems to believe that the man was murdered and didn’t just choke to death, but Rosamund has some knowledge of herbs and poisons. 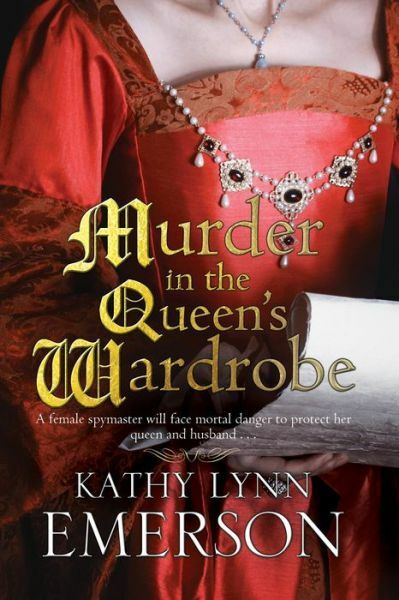 From that point, she realizes that Lady Mary may be in great danger—and Rosamond herself may be as well. But who is trying to sabotage the Russian marriage, and why? MY TWO CENTS: I really liked the Russian connection in this story. That’s something I really don’t read about a lot in novels of the Tudor era, and I found it interesting and unusual. The point of view switches occasionally from Rosmand in England to Rob in Russia. The mystery was okay; I started to figure out who was behind it all from the clues, although the motivation wasn’t necessarily clear. I do believe I would have enjoyed the book much more if I had read the preceding stories that include these characters. I know this is starting off a new series with this character as the lead, but I did feel that readers are somewhat dropped into something they should already be familiar with. I also felt that the end was clearly a setup for the next book in the series. Although there is a resolution to the mystery, I feel like Rosamond’s personal life is far less certain. BOTTOM LINE: Works okay as a standalone novel, but the reading experience would probably be much enriched by reading the Lady Appleton novels first. 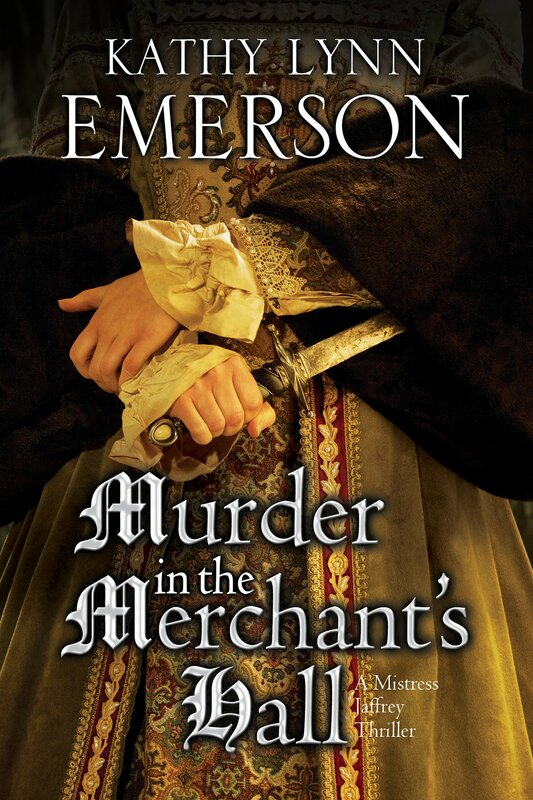 Otherwise, an engaging enough mystery set in Elizabethan England. I’m interested enough to check out those earlier books as well as any sequel. TEACUP RATING: Between three-and-a-half and four out of five teacups. This can’t really be the first time I’m reviewing historical fiction on this blog, can it? Historical fiction is my favorite genre, especially English historical fiction. I always say that I was an amateur Tudor scholar before it was cool to be one. The Secrets of the Tudor Court series has been one of my favorites, partially because it explores lesser-known courtiers. Sorry to say, though, that this entry was not my favorite in the series. THE PLOT: Ethelreda Malte, known as Audrey, lives a comfortable life as the illegitimate daughter of King Henry VIII’s tailor, John Malte. In her first visits to court, Audrey is too naive to realize that courtiers are noting her striking resemblance to Princess Elizabeth and the king. But as the king bestows more and more favors on her family, Audrey is driven to discover the truth. The story is framed by an older Audrey telling her daughter, Hester, the truth about her ancestry. This technique seemed very forced and inauthentic to me until about halfway through the book. Why on earth would Audrey tell this story to an eight-year-old child? Well, then it’s explained that Audrey, who has been ill, doesn’t think she has much time left, and she doesn’t want Hester to wonder forever about rumors and half-truths. The relationship with Audrey’s eventual husband, Jack Harrington, also seems uneven. Through three-quarters of the book, you’re led to believe that young Jack really cares for Audrey and would marry her if he had money. (However, the framed portions, located throughout the retelling of the past, reveal that older Jack is cheating on Audrey). Then, they finally marry to save Audrey from the machinations of a mustache-twirling villain, and suddenly it seems that Jack never really wanted her; he only married her for her inheritance. The end is so rushed that it feels like someone hit a fast-forward button. BOTTOM LINE: While I recommend checking out Kate Emerson’s other titles, I found this novel just lukewarm. I don’t know if a first-time reader who started with this book would be intrigued enough to pick up others in the series. It was a fairly quick and effortless read, though. TEACUP RATING: I’m giving the book three teacups. I just wasn’t hooked like I wanted to be, but I still look forward to Kate Emerson’s next novel. 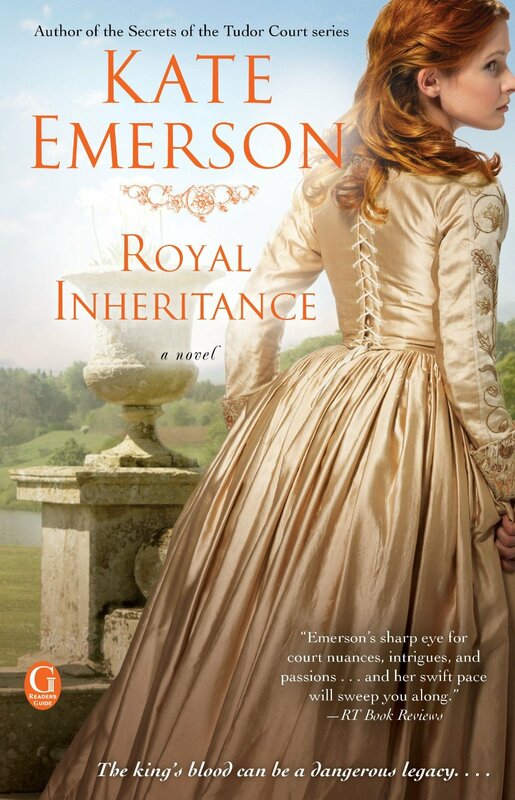 ON SALE DATE: Royal Inheritance will be on sale September 24th.